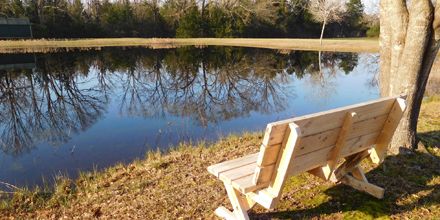 Roadrunner Acres RV Ranch features a picturesque fishing pond. Located at the previous site of Golden RV Park, the new RV ranch has been completely remodeled and upgraded, from all-new paved roads and a state-of-the-art aerobic septic system to the latest in WiFi and video surveillance technologies. Quarterly events, including live music, food, etc. To help accommodate our handicapped residents or guests, the entire ranch is ADA compliant. Judy and Kent Huffman are the proud owners of Roadrunner Acres RV Ranch. We live at the ranch and can easily be reached in person or by phone whenever the need arises.